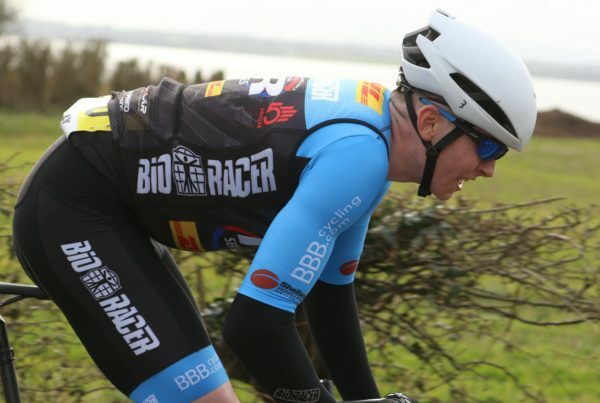 Luke Smith has come away with a tidy win at the Boyne Grand Prix, winning the sprint from the breakaway. That the escape group included personnel from the EvoPro Racing Continental team added to the quality of his win. 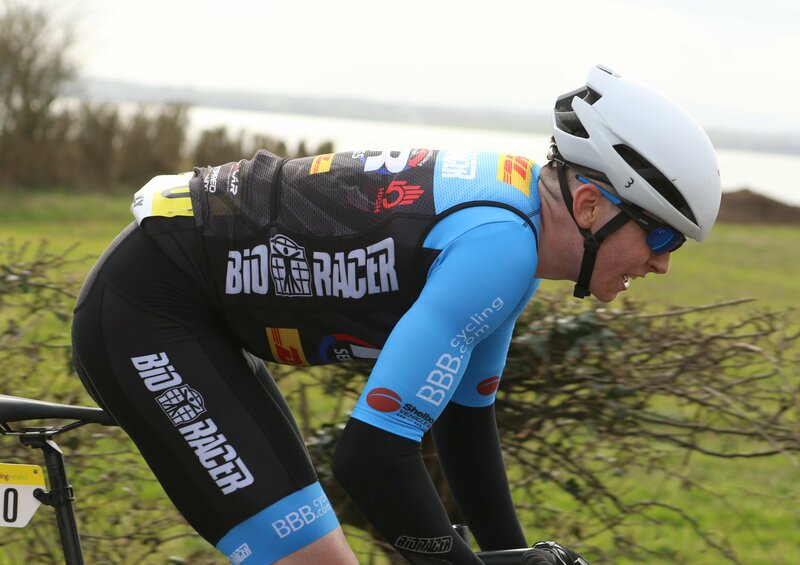 A number of the Irish pro team rode the race today; a welcome boost for the home scene and one we will hopefully see more of when they are not on international trade team duty. Smith’s victory today, and his runner-up placing in the Tour of Ards yesterday, is a timely boost for him. Now in a new team, BioRacer-DHL-FR Services, and chasing national selection, he seems to be hitting form at the right time. Today he got clear in a six-man breakaway on the opening lap of eight. That move whittle down a little under the pressure. And while there were a number of attacks coming towards the finish, it came down to a sprint. Smith showed his experience, not to mention a handy turn of speed, to lead out the gallop and win it. In the breakaway group on the opening lap with Smith was Harry Sweeny; an Australian rider with EvoPro Racing who has been riding very well of late. Also present was international track rider Fintan Ryan (Kingspan) who was 2nd in last weekend’s Bobby Power Memorial. Sean McKenna and Paul O’Reilly were also there, in the colours of Dan Morrissey-MIG-Pactimo and a rider from Phoenix CC. Not long after the halfway point, though, the group was down to just four; Smith, Ryan, Sweeny and McKenna. The four men remaining out front continued to work well for the following laps, all doing honest turns. But on the final lap the cooperation gave way to attacks, with Sweeny the first to light it up. However, as he rides at Continental level, he was closely marked; something the team will need to get used to when competing on Irish roads. After he went and was caught, McKenna let fly with a dig closer to the finish and was also recaptured. However, despite the aggression the front group didn’t split. And in the final push for the line Smith step up for a big win. As he is chasing Nations Cup selection, he has every right to feel this weekend was a step along the way. He came out best today from what was a very strong group after a long hard race; McKenna, Sweeny and Ryan all very experienced international campaigners. Behind the leading four, ever-impressive veteran Greg Swinand came through for Dan Morrissey-MIG-Pactimo for 5th place. Then came the EvoPro Racing duo of Daire Feeley and Cormac Mcgeough. And Sean Feeney of South Dublin CC got up for a very strong 8th in some very good company; something he can take confidence from.